At Shrinking Planet, we understand how important your brand image is to you. Having a consistent look and feel across all your marketing collateral adds power to your corporate voice. That’s why we offer a whole host of creative design services focused on delivering a solid and powerful brand identity across virtually every media type you will ever encounter. A solid corporate identity starts with a well designed and identifiable corporate logo. 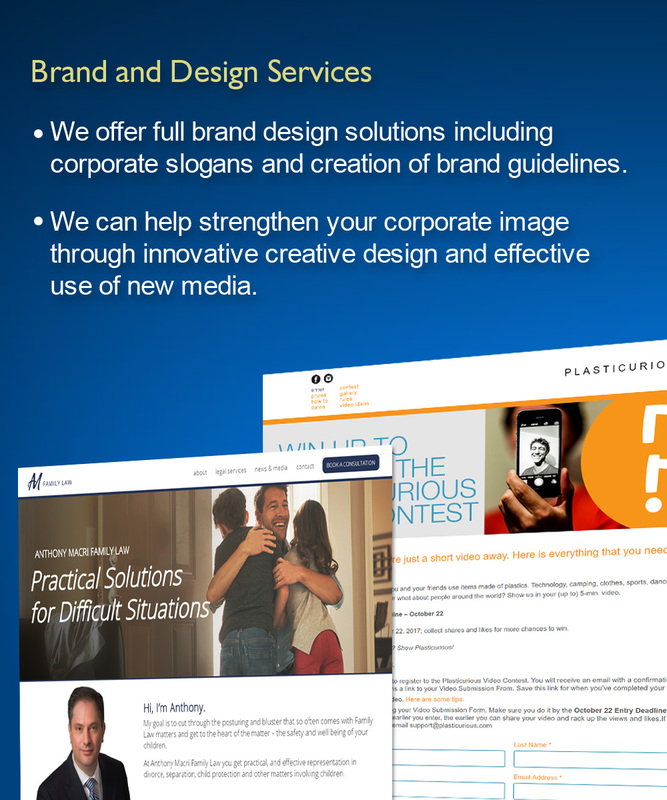 We offer full brand design solutions including corporate slogans and creation of brand guidelines. Whether you need a new logo or just want to update your current brand, our design team can deliver the powerful company image you are looking for. Additionally, our creative team can help strengthen your corporate image through innovative creative design and effective use of new media. From letterhead and templates, marketing materials and financial reporting documents, to effective corporate presentations, let us communicate your business or service more effectively.